I have been at the cinema this morning with friends to see Swimming With Men and then we went out for lunch, so no time for taking photos again today. I did have a play this afternoon though with an old photo of the replica of James Cook's HM Bark Endeavour taken a couple of years ago when it sailed into Nelson Bay. 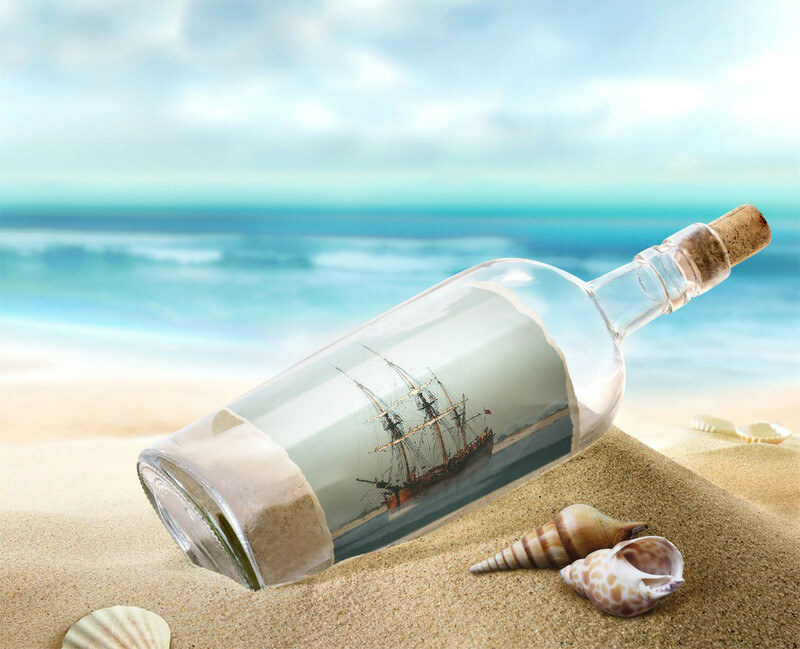 I put the ship photo into Pho.to editor and came up with this ship in a bottle photo. This is very cool. Did you enjoy the movie? Hope you loved the movie, like the use of this program! Cool editing. Well done. Fav. Great shot and edit ! How fun! It makes such a nice image. Very creative. Love following you and seeing all your creativity. it seems there is no end to what pho.to editor can do. Very appealing! (Were you really at the cinema?! Very creative and beautiful done. Wow nicely done..............and love your composition. They do have some fun things to play with on that site. This works perfectly with your boat picture.